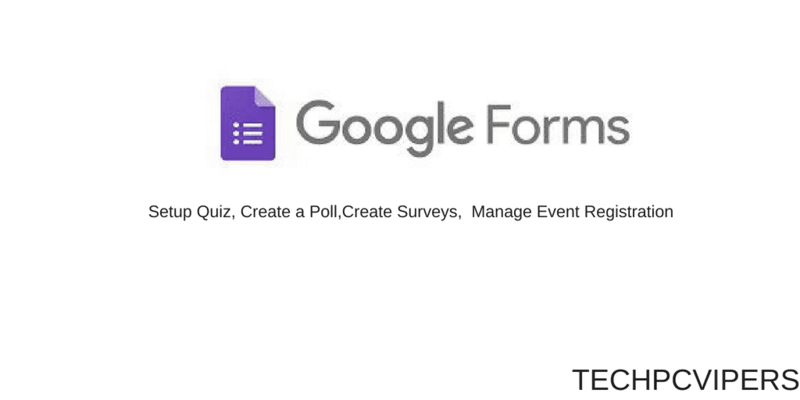 Google forms is a product by Google that can be used by anyone who has a Gmail account. It’s an online tool and replacement of software which is used to create surveys, quizzes, contact form and portfolio completely free. Gathering a piece of information from your customer is pretty much easy when you share an easy and simple platform with users to collect basic information. Collect user details such as name, contact no and email. In the previous review we discussed the shortcut to uninstall programs and today we are going to teach you how to create Google Registration form. I suggest you create your Gmail account if you don’t have otherwise you won’t be able to create any google forms. Step 2:- At the top left corner you can see a Plus expand icon, just click on that icon. Step 4:- Give your Form name a unique title and start building a form using a drag and drop functionality. Step 5:- You can add multiple fields such as name, email, address. It completely depends upon your requirement what kind of data you want to capture from the user. I hope you got an idea of what is Google Form and how to create a basic Registration form. All the data gets stored in the response tab which is given in the below screenshot. 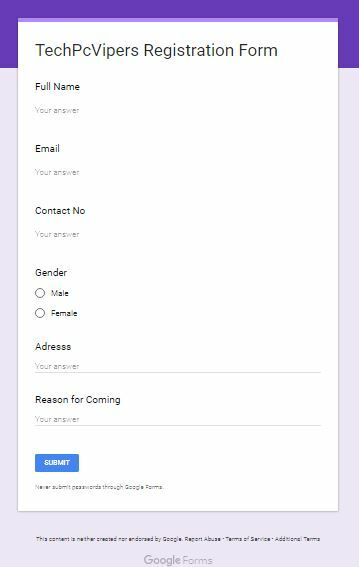 I hope you understood the basic process of creating a Google Registration Form and how to capture the user data using Google forms. Choose templates >>Add your own logo and start creating surveys, quizzes, registration forms. In case if you need any kind of help then you can click here to get more information.